Since 1964, the Six Million Jewish Martyrs statue at 16th and Ben Franklin Parkway has served as Philly’s memorial to the Holocaust. 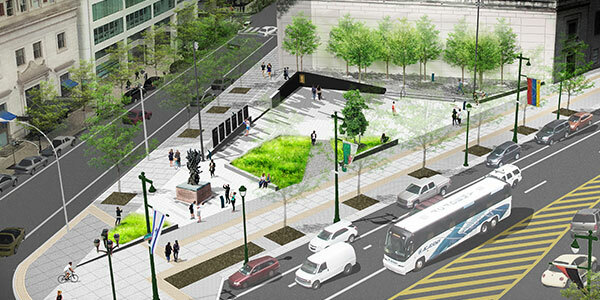 Now, more than five decades later, big changes are in store for the memorial. 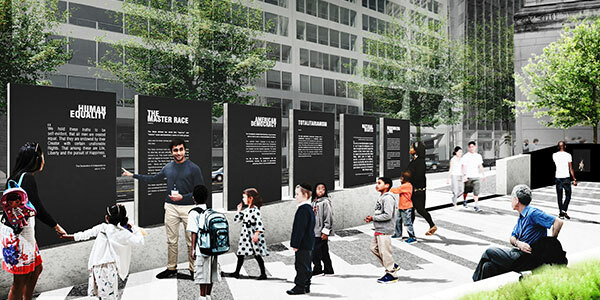 The non-profit Philadelphia Holocaust Remembrance Foundation (PHRF) announced today its design plans for the Philly Holocaust Memorial Plaza, a $7 million project that was originally announced in 2016. 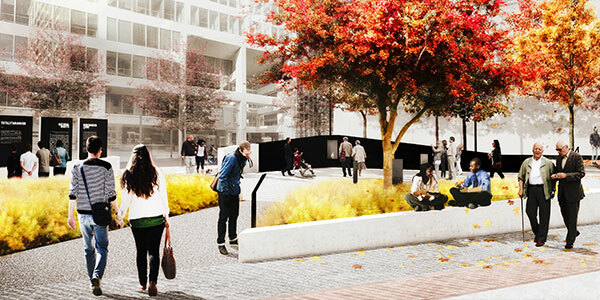 The project, slated to break ground this winter, will add more layers to the Six Million statue, including a reconfigured public plaza, as well as another memorial called the Six Pillars. The Six Pillars will be on view along Arch Street and the interior of the Memorial Plaza. Each one will depict a motif of the Holocaust, contrasted with an adjacent pillar describing one of America’s core values. The new Six Pillars monument will serve as a juxtaposition between the Holocaust and America’s core values. The elevation plan from Arch Street. The elevation plan from Memorial Plaza.